analytica Anacon India addresses the rapidly growing Indian market with exhibition sectors for analysis, laboratory technology, biotechnology and diagnostics. It is being held in conjunction with India Lab Expo, one of India’s leading trade fairs for analysis, laboratory technology and biotechnology. 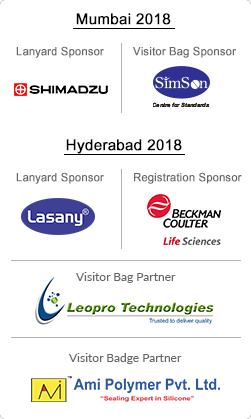 The next events take place from September 6 to 8, 2018 in Hyderabad. Messe München is the world’s leading trade fair organizer for laboratory technology, analysis and biotechnology: Part of the analytica network are the trade fairs analytica China, analytica Anacon India and India Lab Expo in Mumbai and Hyderabad, analytica Vietnam and analytica Lab Africa.